Breathtaking shores, great cuisine, and beautiful historical towns only scratch the surface when describing this Balkan country. 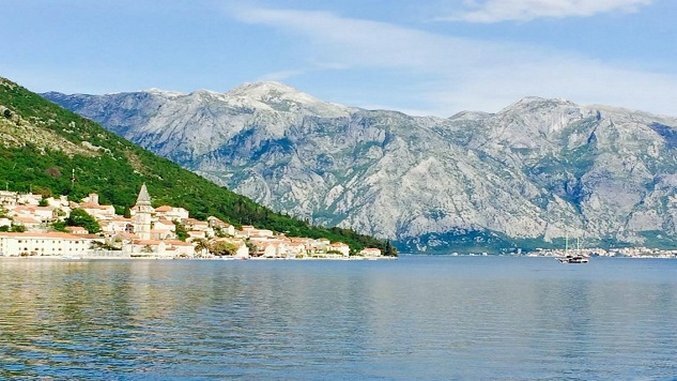 Montenegro (the correct name is Crna Gora) has it all: rich history, fabulous beaches, stunning views and natural parks. Backed by a fjord-like landscape and surrounded by a bay, Kotor is arguably the crown jewel of this tiny country in southeastern Europe. Once home to one of the Mediterranean’s busiest harbors, today it is the star of Montenegro’s Adriatic coast and a UNESCO World Heritage site oozing with charm from every cobblestoned street. Kotor is famous for its deep fiord-like waters, rugged mountains and the Old Town, where history, culture, and tradition are well preserved. Tourism is picking up here, to be sure, but the numbers are still much less than nearby Dubrovnik, Croatia. A must-see in town is the Cathedral of Saint Tryphon, a Roman Catholic church rebuilt after an earthquake in 1667. After letting the standing for a moment and letting the architecture melt into the surrounding cliffs and sea, take a blind walk down one of the multitude of narrow streets, into a square, or enter one of the many bookshops, museums and cafes. You won’t be disappointed. For excellent local fish go to Trpeza, one of the best restaurants in town. Head to the Outdoor Green Market, where citizens come to catch up with neighbors and shop for fresh fish, vegetables and local cheeses. The market runs along the city walls from the Sea Gate and is open every morning. It’s also a paradise for slow food fans and the perfect place to buy a cool souvenir like a bottle of oil olive or a good indigenous red wine: Vranac. The old nucleus of Kotor is considered one of the best preserved medieval urban entities in the Mediterranean and is protected by Unesco. Kotor’s fortifications, from the 9th century, head up to Sveti Ivan’s Hill. Pro tip: Make the nearly 4,000-foot ascent up the fortifications along 1350 steps. The views from here are fabulous … but remember to avoid the midday heat of the day and bring lots of water. One of the best things about Kotor is the abundance of equally stunning locations just around the Gulf of Kotor, such as Perast (pictured at top). This charming town—one of the most beautiful places on the Kotor bay—has narrow streets and baroque palaces, which testify to the region’s former wealth. The Island Gospa of Skrpjela (Our Lady of the Rocks) is one of two gorgeous islands in Boka Kotorska (the Bay or Kotor). The story of this island begins on July 22, 1452, when two sailors returning to Perast discovered an icon of the Madonna and Child resting on a rock in a shallow part of the Bay. The sailors dropped stones around the spot of the “miracle,” and slowly created an islet and, later, built a small chapel. It soon became a tradition for sailors to drop stones in the water around the chapel before a voyage. This ritual remains alive today and forms part of one of Europe’s oldest sailing regattas: the Fasinada.